For decades, Hampton VA was touted as one of the “best-kept secrets on the East Coast.” But for having only 137,436 residents, this small town has big appeal. 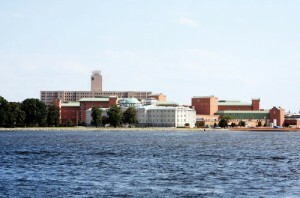 Hampton, Virginia is situated on the tip of the Virginia Peninsula overlooking beautiful Chesapeake Bay. This means that ample shorelines surround the area. Beyond its miles of beach, Hampton VA also provides opportunities for boating, golfing, and hiking. With over 20 local parks, nature plays a large role in this community. But, as one of the fastest growing towns in Virginia, Hampton is also home to an active nightlife. The city center is home to restaurants, bars, bistros, and pubs. The Hampton Coliseum hosts events catering to its wide array of residents. Young and old can enjoy the annual Hampton Jazz Festival or the stylings of top performers like Keith Urban and the Black-Eyed Peas. For family fun, the Ringling Brothers Circus performs at the Coliseum each year. Families will also enjoy Hampton’s low crime rates and lower-than-average cost of living. Hampton VA also boasts one of the state’s highest-rated education systems. On the collegiate level, Hampton University is located right in-town, and the College of William and Mary is a short drive away in nearby Williamsburg. Hampton VA isn’t just for families, though. Any number of personalities are suited to the area. As one of America’s oldest cities, Hampton VA is home to a number of sites listed on the National Register of Historic Places. As one of the many neighborhoods that make up Hampton VA, Aberdeen is known as one of the most historic. With brick homes and manicured lawns, this area is a vision of the pride and culture. Hampton VA Homes for sale are available in a wide range of prices. For a more rustic atmosphere, many individuals enjoy the country-style atmosphere of the Back River neighborhood. Though many Hampton VA homes are ranch style or split-level, some are adjoining working horse farms and most are situated on incredibly spacious lots. This neighborhood is also the location of 105-acre Gosnold’s Hope Park, named as an homage to Captain Gosnold, leader of the Jamestown Colony. The Bailey Park neighborhood is a picturesque village paying tribute to its namesake from the classic film “It’s a Wonderful Life.” Large wrap-around porches, beautiful landscaping, and old-time character lend a homey-feel to this neighborly area. Even better, many Hampton VA homes are available in this quaint neighborhood for under $100k. If you’re looking for a water-front Hampton home, look no further than the Buckroe Beach neighborhood. Here, Hampton waterfront homes are available from affordable to extravagant price tags. 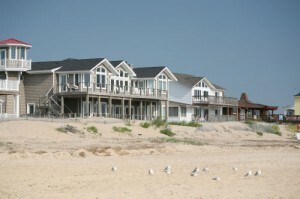 Inland Hampton VA properties are located only a few blocks from the waves, and are priced in the $100k to $200k range. Moving closer to the shoreline, market prices can rise above the $1M mark. With spectacular views of Chesapeake Bay, purchasing a Hampton Home means more than just having a place to rest your head. 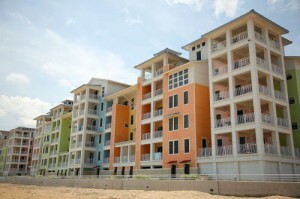 More urban Crystal Lakes is a newly-formed Hampton VA condominium community also within the borders of the town. Situated in the downtown area, these garden and townhouse style Hampton condos are perfect for those in need of big-city amenities with small town traffic patterns. Charming Hampton Condos are available starting at 741 sq. ft. going up to family-sized floor plans of around 1,200 sq. ft. Lower-end price estimates for Hampton Virginia properties in this complex have averaged around $90k in the current market. However, larger sales have been in the $100k’s and up. With estimated Hampton VA condo fees of under $150 a month, this is definitely an affordable option. With its incredible military concentration, Hampton and the surrounding Hampton Roads region is known for welcoming and accommodating soldiers and their families. Still, relocating is often a difficult process. Let Stone Realty help by making your transition a bit easier. Regardless of your price range or your architectural preference, the Stone Real Estate team is here to help. With over 15 neighborhoods and a vast range of home prices, Hampton VA is the ideal location to purchase your new Hampton VA home. As local Hampton VA realtors, Kim & Dave Stone of the Stone Team have years of experience helping famlies buy and sell their Hampton VA Homes and can help you decide on which neighborhood is best for you. From choosing a neighborhood, to getting the best value for your offer, the Stone Team will be there every step of the way. Hampton Real estate prices are at an all time low, but the market is quickly rebounding. This means that now is the best time to purchase Hampton Homes for Sale. Don’t wait- get started by clicking the Hampton homes search button at the top of this page, or call us at (757)-565-1043. 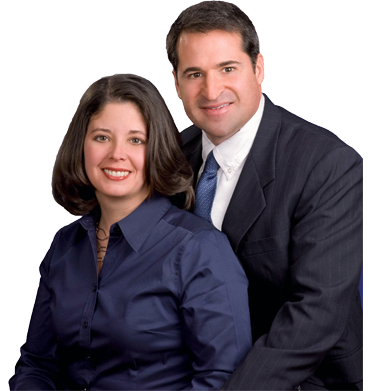 Call Hampton VA #1 Real Estate Team of Kim and Dave Stone 757-565-1043 for all Hampton VA MLS Listings and free real estate advise from the greatest Hampton Roads VA REALTOR Team.